Holly moved to Paris in 2016 to pursue her dream of attending the International Jacques Lecoq School of Theatre where she learnt everything from Greek tragedy to technical mime routines including how to climb an invisible wall (her party trick). She arrived in Paris with only a few key French phrases in her pocket (un verre du vin s’il vous plaît & où est la bibliothèque) and worked as a nanny for her first year where she could utilise her mime skills to communicate with the children. 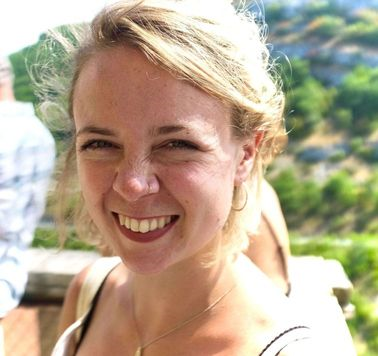 Holly fell in love with Paris, French culture and the language so that by the time she got to the end of studies in 2018, she decided she wasn’t ready to leave. Now you will often find Holly gorging on a baguette and cheese by the Canal St. Martin or rehearsing with her theatre troop in whatever corner of space they can find.